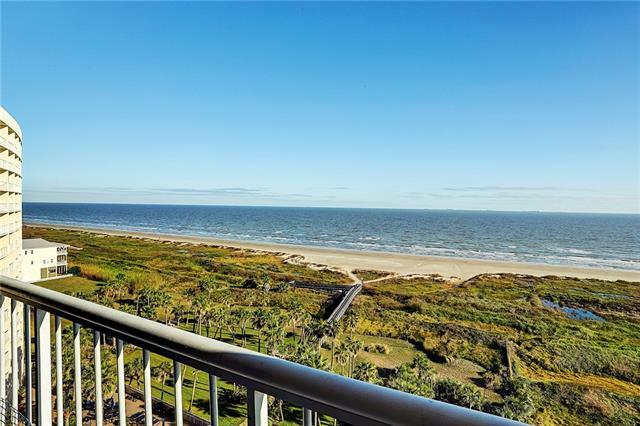 All Galveston homes currently listed for sale in Galveston as of 04/24/2019 are shown below. You can change the search criteria at any time by pressing the 'Change Search' button below. If you have any questions or you would like more information about any Galveston homes for sale or other Galveston real estate, please contact us and one of our knowledgeable Galveston REALTORS® would be pleased to assist you. "Rare floor plan, only 8 exist. 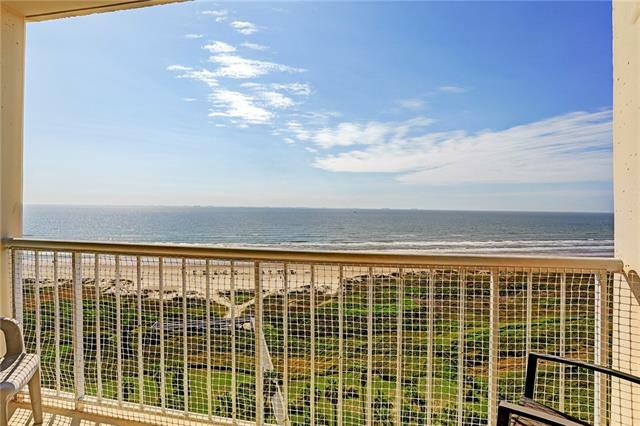 Three large balconies totaling 609 square feet provide endless views of both Beach and Bay! Living area is 25' x 26' with floor to ceiling windows and a balcony on each side. Beachside balcony includes a built-in BBQ grill. This Signature Laguna floor plan boasts 10' ceilings, crown molding, bamboo flooring in main living areas and front bedroom, tile in kitchen. Two Master suites with large oversized soaking tubs and separate walk-in showers, and walk in closets. " 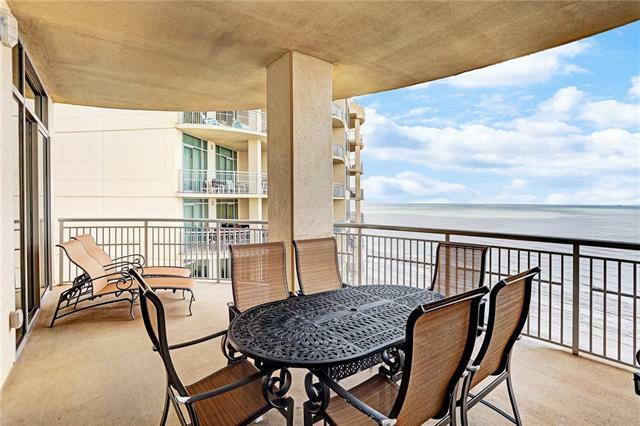 "3 Balconies provide unobstructed views of Beach and Bay. Light-filled living area is spacious, with a balcony on each end, includes bamboo flooring, custom lighting and surround sound. Master Bedroom is spacious with room for a sitting area, large closet with custom built-ins and has a private balcony. Master en suite is large with dual sinks, vanity area, linen closet, walk in shower and whirlpool tub. Secondary bedrooms have great views and custom closets. 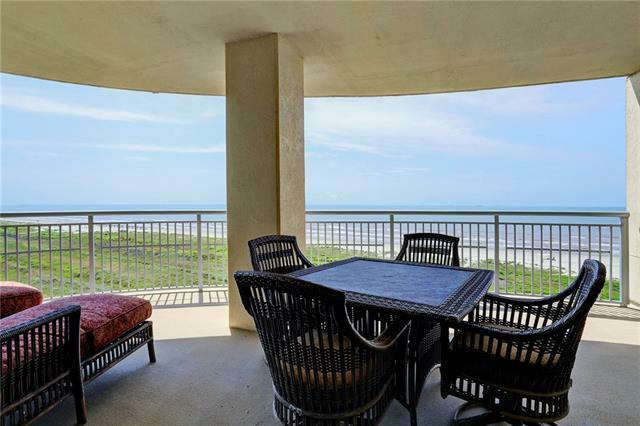 Palisade Palms has an abundance of am"
"Beautiful recently updated unit with amazing views of the Beach and Bay! Balconies in every room. Tile and wood-like flooring throughout. Kitchen has granite countertops, glass tile back splash, stainless steel appliances and plenty of cabinet space. Bedrooms are spacious and have wood-like flooring and tons of natural light from the balconies. Master en suite and second bathroom have been updated with new countertops and showers. Great for primary, secondary or investment. Great rental history." "Gorgeous updated unit with North, East and South views capturing sunrises, sand, surf and palms! Great for part or full time living. Interior features include tile and wood like flooring throughout, custom lighting, and updated baths and showers. Unit has washer and dryer. A stone wall in living area enhances the simple elegance of this unit. Enjoy panoramic views from your kitchen. Updates including SS appliances, wine fridge, black granite counters, custom cabinets and backsplash. 4 balconies "
"This Beachfront oasis has two balconies for optimal views! Living and Bedroom has ample natural light with floor to ceiling windows and balcony doors. This unit features tile throughout as well as granite counter tops and updated cabinets in the kitchen and bath. True Coastal living with scenic views of the pool, palms, sand and surf. Turn key for entertaining and beach activities. Galvestonian has a heated pool, fire pit area and picnic area. Lobby has 24-7 front desk and a fitness room. 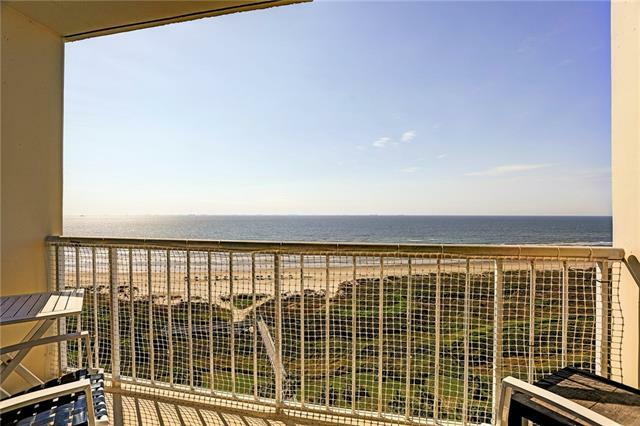 East B"
"Beachfront paradise has amazing views from the 11th floor! Unit features tile throughout as well as updates to the kitchen including granite counters in kitchen and bath. Scenic views of the pool, palms, sand and surf. Turn key for entertaining and beach activities. Rental history available upon request. Galvestonian has heated pool, fire pit area and picnic area. Lobby has 24-7 front desk and a fitness room. East Beach is the only naturally accreting beach in Galveston. Live life as a Galveston"